Portfolio of Craftiness – Odds & Hens : Ramblings. Creations. Here are some photos of my creations. Some might be in my Etsy store [odds and hens], past personal gifts or custom items. Many have blog posts with all their gory details. Peruse, enjoy, be inspired, check back as this is WIP. See something you like? I take custom orders via Etsy. Thanks! Summertime Napping Quilt on Etsy! https://www.etsy.com/listing/111831744/summertime-napping-quilt? Nightshade Napper – was on etsy…. Somebunny loves you – in the Etsy shop! Bee is for Baby – Paper Circle Garland, Bunting, Mobile, Decoration on Etsy! https://www.etsy.com/listing/125952045/bee-is-for-baby-paper-circle-garland? Bow Tie – Neckflare on Etsy! https://www.etsy.com/listing/122579254/bow-tie-sophisticated-neck-flare? Bow Tie – Sophisticated Neck Flare on Etsy! https://www.etsy.com/listing/122579254/bow-tie-sophisticated-neck-flare? English paper pieced hexagon quilt – pieced all by hand! 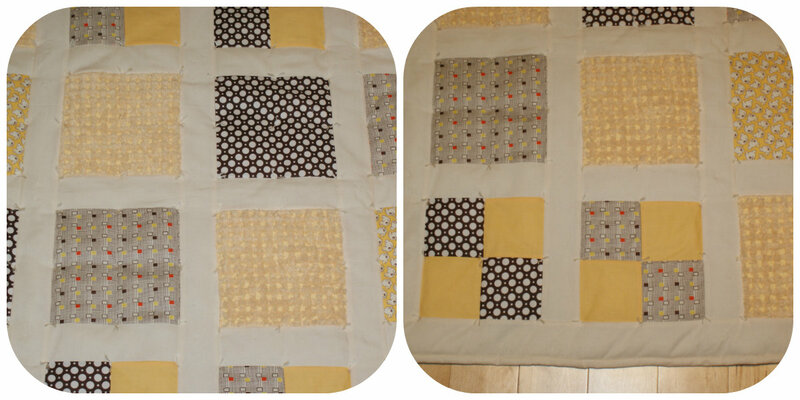 Pingback: Little Prince Quilt – Fit for a Sibling, Made for a Family – Odds & Hens : Ramblings. Creations. LOVE LOVE – especially the orange paisley!